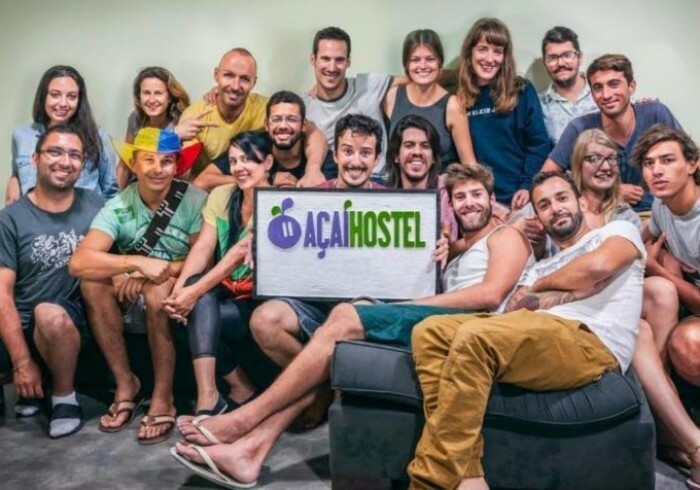 The Açaí Hostel is located in the heart of Pelourinho, the historic center of Salvador. This beautiful part of the city is a UNESCO World Heritage Site with ornate Renaissance buildings dating from 1549. Pelourinho is also the center of Afro Brazilian culture and bustling with life! Vibrant music and dance is everywhere, spilling out on to the cobbled streets from our bars, restaurants and local homes. Arrive on a Tuesday and you’ll see local bands playing samba, axé and Afoxé music for free in the streets. Thursday is a great night for partying. Local shops, street vendors and crafts people sell uniquely Bahian leather goods, white cotton, lace, colorful textiles, jewelry and musical instruments right here on our doorstep. Terreiro de Jesus is the place to go for local street food: Acarajé and Churrasco sticks. Refresh yourself with Caipirinha made with lime and Cachaça! During the day you’ll see the athleticism of guys from the Forte de Capoeira having a ‘Roda’ here. After returning from worldwide travels himself, the owner of Acai, Francisco was inspired to open a hostel too. His ambition: to create a travelers’ oasis in the heart of the city. So, as a team we’ve prioritized: clean comfortable beds, so you can recuperate, good storage and security plenty of power sockets for recharging your electronics spacious communal areas + a gorgeous terrace friendly staff with good local knowledge a dreamy location that will take you back in time not to mention, more FREE services: hot showers, linen & towels, wi-fi, filtered drinking water & a daily Drinks.